Do you wish you had smaller pores, fewer blackheads, a fairer smoother complexion and a healthy even glow? Spectra® Peel is a safe non-invasive skin rejuvenation procedure, and regular treatment stimulates regeneration of collagen and improves the elasticity of the skin, decreasing pore size, giving you clear and healthy skin. 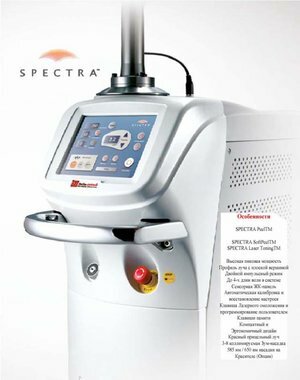 Spectra® Peel can also improve some acne scars, uneven pigmentation and poor skin texture. The carbon assisted laser skin rejuvenation treatment, which uses photochemical superficial peeling to remove excessive sebum, unplug pores, control acne as well as minimise pore size. Enlarge pores are mostly due to sun damage, aging and the production of sebum, causing the skin to lose its elasticity. Superficial peeling with Spectra® Peel removes excessive sebum, exfoliates the upper layer of skin and unplugs pores. Carbon particles are penetrated into the pores and the laser energy is absorbed which explode these particles. This process causes the inner walls of the pores to reduce in size by the way of stimulation of collagen production. This superficial peeling effect is immediate and does not cause delay skin exfoliation and peeling seen with chemical peels. Patients can return to work immediately afterwards. The protocol intervals are between 14 to 21 days with repeated treatments from 4 to 6 treatments. Make an appointment with our aesthetic doctors to assess whether Spectra® Peel is the right treatment for you.